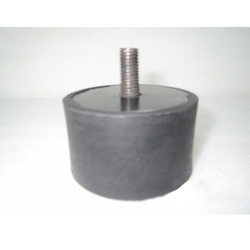 Our offered Silent Block Bushes are made up of two concentric steel sleeves with rubber in it and for tortional movements, axial and radial load. 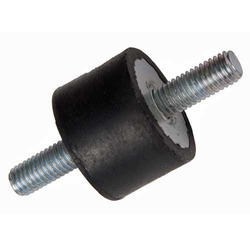 These find its applications in load bearing problems in vibrating and oscillating systems. These are pressurized during creation to give maximum strength to it. 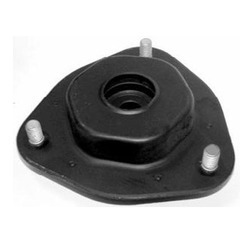 Furthermore, these are applied in linkage systems in different types of automotive car suspensions, two wheeler, three wheelers, trailers, agriculture dumpers and machinery. 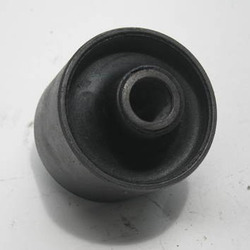 Our offered Engine Mountings sustain automobile engine to the vehicle body and minimizes the engine vibration as well as noises and meets the advanced performance, the hydraulic engine mount with availability of rubber membranes. Furthermore, is adjustable both vertically and horizontally to facilitate engine propeller shaft alignment. 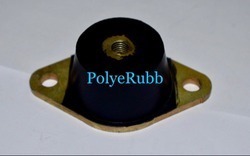 Each mount has an elevated capacity with rubber cushions that are locked to the base and are oil and fuel resistant. 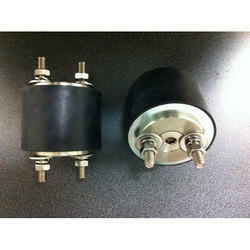 Price varies from 300 to 900 depending upon the customer requirements. Our offered Silent Blocks that are non abrasive nature, anti corrosive property and excellent performance oriented and are provided in various sizes and dimensions to match the specification of the clients. Furthermore, these are efficiently created using optimal grade raw materials under the strict supervision of our adroit professionals in adherence with set industry standards. These are applied in linkage systems in different types of automotive car suspensions, two wheeler, three wheelers, trailers, agriculture dumpers and machinery. 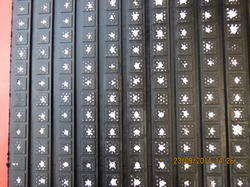 We manufacture Rubber pads with Ceramic Tiles insert .We are India , Gujarat State, Ahmedabad City base manufacturing unit with full fledged plant and machinery spread in 20,000 Sq. feet of Area with in house testing facility and backed with 40 years of experience in this field . We have emerged as one of the top notch name in the industry for the offering an extensive range of Mountings. This Mountings is designed by experienced engineers, who have in-depth knowledge about the industrial quality parameters. Our range is assembled using high grade components by the team of professional ones of the industry that ensures their durability and increases their reliability. We deliver our product in customized packaging. This product is precisely made at highly developed production unit by making use of superior quality material and advanced machines. Automobiles Elastomer Products offered are made available by us in precision designed and construction standards so as to perfectly match up to the demands of the customers. Being durable in terms of finish, these are developed for providing high performance under diverse working conditions. These are suitable for use in areas like Textile machinery, Farm equipment, Automobiles, Trucks, Earth Moving equipment and others.